Regular readers of my print column and blog know my never-ending pride in America’s public lands legacy and unrelenting defense of these wild lands. Without access to public lands two generations ago, my family likely never would have become the outdoors-traipsing clan we’ve become the past six decades. My grandfather, Robert W. Drieslein was a second-generation American, Pacific Theatre World War II vet who raised a family near downtown Chicago. He thought it was important to take his two urban sons pheasant hunting. They found some public parcels about 90 minutes from the city and kicked up some birds several times each fall. My dad, Robert L. Drieslein, so cherished those days of getting out of the city and walking the fields with a springer spaniel that he pursued an outdoors career. He became the first American Drieslein to go to college and eventually would get a master’s degree in wildlife biology from South Dakota State (go Jackrabbits) in Brookings. After a tour of Vietnam, he spent a fulfilling career with the U.S. Fish and Wildlife Service and now hunts, fishes, and visits national parks with his bride of 51 years in their retirement. Dadder and his two boys cranked the family hunting dynamic up a notch by chasing big bucks and boss toms around the bluff country of western Wisconsin and southeast Minnesota. One son followed his dad into the Marine Corps, where he’s now a lieutenant colonel working at the Pentagon. The other pursued a career in outdoors writing and now regularly pesters the good folks reading Outdoors News with his rants about preserving green space and getting kids out-of-doors. He’s got three sons, all of whom have grown up camping, fishing, hunting, and recreational shooting. The oldest is a sophomore at a Minnesota college pursuing a career in environmental economics. That’s three generations of outdoors or environmental careers that simple pheasant hunting trips in rural Illinois helped launch 60-plus years ago. So yeah, public lands are important to me, and my family’s outdoors story is one of many thousands that public lands and waters have helped launch in America. Those families understand the value of wildlife management areas, national forests, and wilderness as not only wildlife habitat but people habitat, where working stiffs recharge their souls and restore their mental health. If these words resonate with you, join a crowd of like-minded folks next Thursday, Feb. 7 at the State Capitol for Minnesota Public Lands Day. Come out and support public lands and waters by showing up en masse at the Capitol Rotunda and demanding continued access to our 12 million acres of federal, state and country lands. Our Minnesota public lands legacy is the backbone of our opportunities to hunt, fish and pursue other outdoor recreation. These places provide clean water, spaces to roam, and contribute to healthy communities. Their sustainable use contributes to the $16.7 billion in consumer spending annually generated by our state’s outdoor recreation economy, which also supports 140,000 jobs. Though I’m optimistic that “no net gain” and other dumb anti-public lands bills won’t progress this session, next Thursday provides a proactive opportunity to stay ahead of those unrelenting pressures. 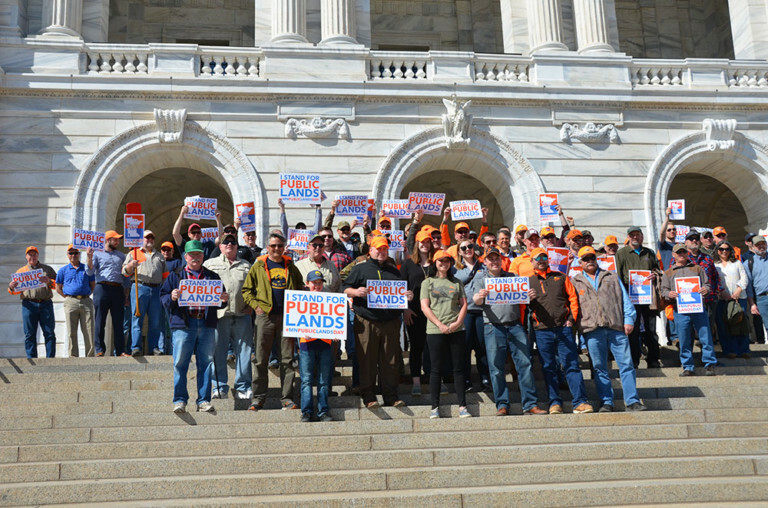 Wear your public lands colors for the rally, which will run from 3 to 4:15 p.m. at the State Capitol Rotunda, 75 Rev. Dr. Martin Luther King Jr. Blvd., St. Paul, MN 55155. The day features speakers who are fierce state and national public lands advocates. 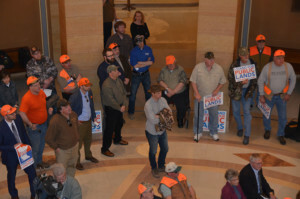 They include: Land Tawney, president and CEO of Backcountry Hunters and Anglers; Howard Vincent, president and CEO of Pheasants Forever; David Brakhage, director of operations for Ducks Unlimited Great Lakes/Atlantic Region; Rep. Jamie Becker-Finn (D-42B); and Sen. Carrie Ruud (R-10). 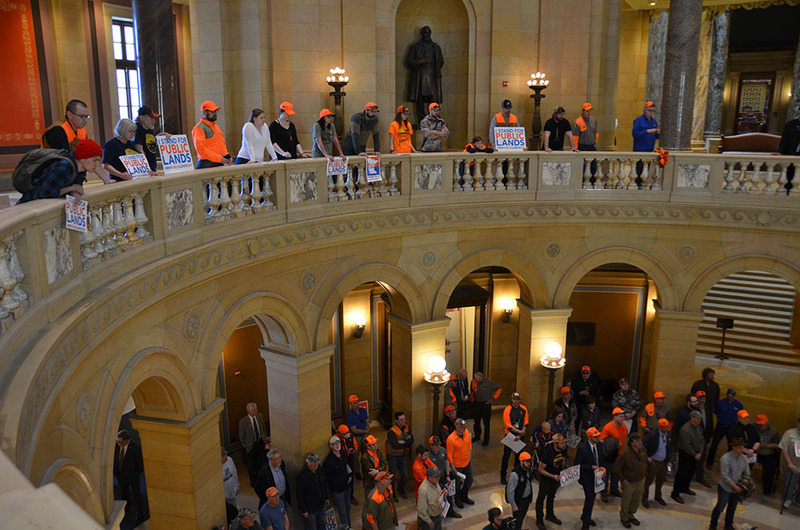 Speakers will address current legislation affecting Minnesota’s hunting and outdoor community, issues affecting Minnesota’s lands and waters, and each speaker’s personal connection to the land he or she works to protect and improve. 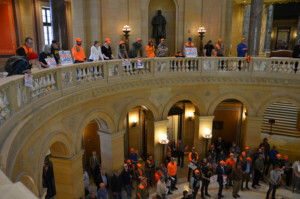 The event is hosted by Minnesota Backcountry Hunters and Anglers and cosponsored by Minnesota Outdoor Heritage Alliance, Pheasants Forever, Sportsmen for the Boundary Waters, Pheasants Forever, Ducks Unlimited, Ruffed Grouse Society, Minnesota Conservation Federation, Fish and Wildlife Legislative Alliance, Blufflands Whitetails Association, Minnesota Deer Hunters Association, Minnesota Chapter of the Izaak Walton League, and Cabela’s of Rogers, Minn.
Hunters and outdoor recreationists will be meeting with their legislators throughout the day, expressing support for dedicated funding from the Outdoor Heritage Fund and opposing “no net gain” legislation. Yours truly has meetings set with his state senator and new state representative to explain that casters and blasters are the nation’s first environmentalists. I hope readers of this column make appointments with their reps, too. For more details, visit the Minnesota backcountry Hunters and Anglers page here.